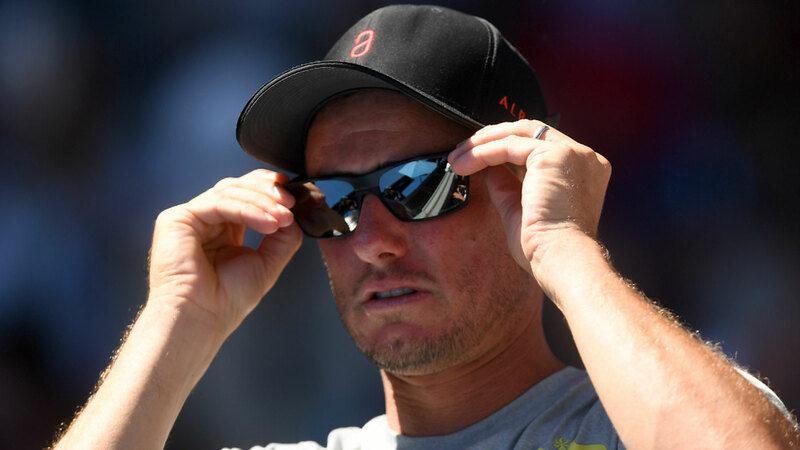 The explosive clash between Lleyton Hewitt and Bernard Tomic has certainly captured the nation’s imagination but it appears the world can’t seem to look away either. 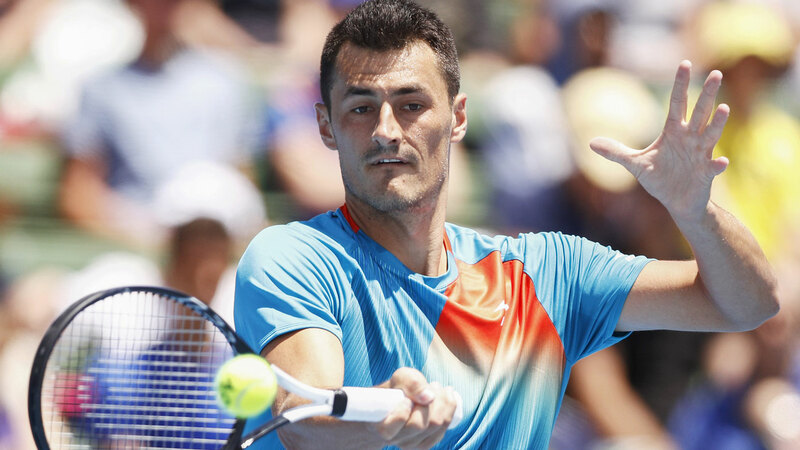 In the latest chapter of the escalating war between the two, Australia’s Davis Cup captain Hewitt decided to open about his dealings with Bernard Tomic after copping some criticism for not being transparent enough in an earlier interview. Hewitt claims he and his family were physically threatened by Tomic and says he'll never play Davis Cup as long as he's involved as captain. "For me, it was probably the abuse that I copped from him that in the end I drew a line in the sand and I haven’t spoken to him since." Hewitt revealed his frustration with the 26-year-old given the fact that he was once a mentor to the outspoken star. "I think the threats that I’ve received for me and my family that I’ve had for a year and a half now … I don’t think anyone would reach out to a person that speaks like that,” he said. “Since then, I haven’t had anything to do with Bernie. 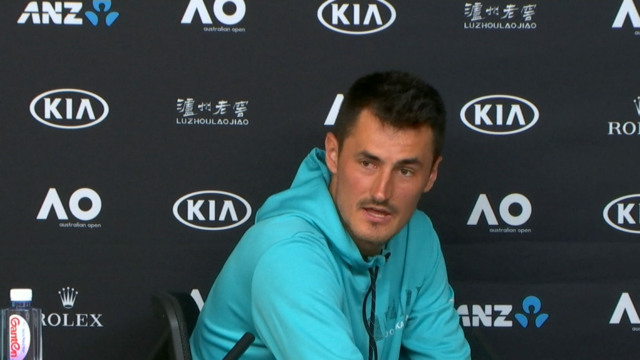 Tomic admitted to threatening to “knock out” Hewitt over a number of issues, saying the former world No.1 had favoured certain players, that Nick Kyrgios and Thanasi Kokkinakis did not want to play for Australia under his guidance and that players under his management umbrella received special treatment through wildcards for the first Grand Slam of the year. The bad blood between Tomic and Hewitt goes way back to 2009 when Tomic, then 16 and ranked 354, refused to have a hit out with Hewitt at Wimbledon before his fourth round clash. Hewitt, a former Wimbledon champion, was told “he wasn’t good enough” to practice with Tomic by the star’s agent. While there’s a thirst for the storylines created for national public consumption, the news of the bust up between the pair has travelled overseas, with several leading voices in the game captivated by the conflict. Tennis writer Ben Rothenberg couldn’t help but salivate over the headlines created during the Australian Open, saying Australia “really is a tennis opera”. The UK publication, Metro, also ran the story with the headline “Lleyton Hewitt: Bernard Tomic threatened my family and tried to blackmail me" and detailed the rift that has everybody in the tennis world talking. The New York Post also had the story up on its website, as did ESPN and BBC Sport. Sports Illustrated’s Jon Wertheim also chimed in over the brewing conflict, and seemed to side with Tomic after his explosive press conference. “Bernie Tomic is the loosest of canons and might have the least moral authority of anyone outside of the top 100,” Wertheim wrote. “But here’s the thing: his points — about Hewitt’s conflict of interest; about Hewitt’s almost pathological aversion to walking away from competition; about Hewitt’s alienating players — have been raised by others.